This week, when I finally found the time to write, it just wasn’t there. I’d type a few sentences and then backspace them away. I searched around for inspiration but found none. Things have gotten ugly in Pittsburgh. There is a very real possibility the Pens could miss the playoffs. They haven't finished below second place in their division since 2005-06, Sidney Crosby's rookie season. All of that changed this season. If it was any other team, we’d be ready to write off its season. But that’s the thing about Pittsburgh, it isn’t just another team. They’ve risen above adversity before. In the past, the stars of the team were able to lift them up and carry them into the playoffs even if they were battle weary and wounded. Role players were able to dig deep, score clutch goals and bear some of the load so the team could regroup. Instead of solidifying behind adversity, this year’s group is bending under the weight of it. Some are blaming the big purge that happened at the end of last season. Fans went from tweeting #InSheroWeTrust to blaming Ray Shero for this team’s lack of forward depth. 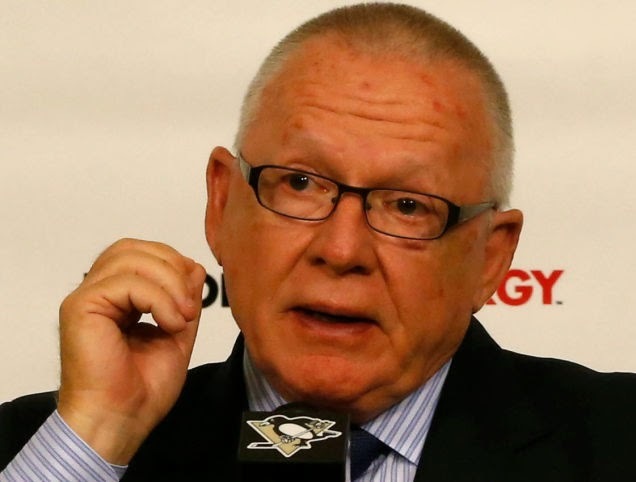 The love for Jim Rutherford's management skills has faded with cries for #GeriatricJim to move on. The fan base that criticized Bylsma for his unwillingness to abandon his system and make situational adjustments now clambers for his replacement, who has made many adjustments, to be “one and done”. Some are blaming Sid. Crosby leads the league in scoring but I’ve seen fans call for him to be traded or stripped of the “C”. That’s the most puzzling thing. There are 30 teams in the NHL and 360 active forwards as such. That Crosby leads them all in points at a time when the team struggles should be a rallying point but he’s held to such an impossible standard that many lose site of his accomplishments. Blame a cruel twist of fate. 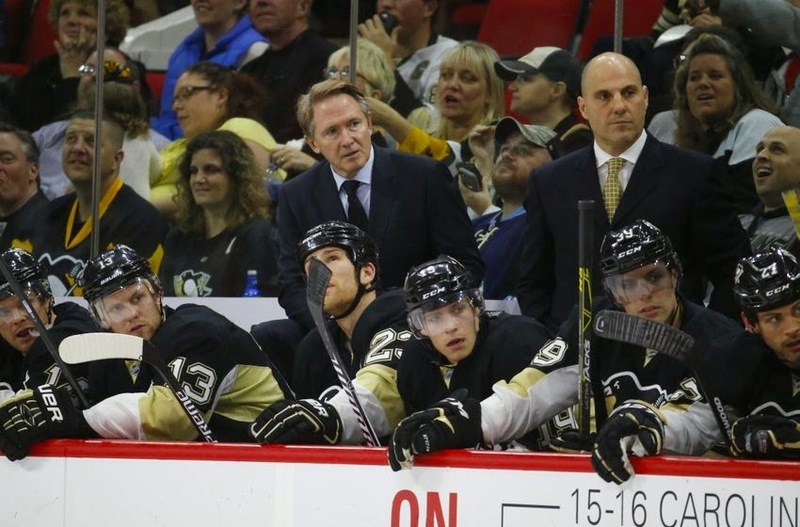 Some say the team lost its character and its heart when they lost Dupuis. I doubt that is far from the truth. His humor and relentless drive was the thread that bound the fabric of the team together. Just like Bill Gueren was the intangible difference in the team's push for the cup in 2009, consider that the loss of Pascal Dupuis may have been the intangible difference in the team's unraveling this spring. There seems to be some kind of disconnect within the team structure somewhere. I will not pretend that I know what is wrong nor will I be so arrogant as to suggest how to fix it. All I know for sure is I’m a fan of the Pittsburgh Penguins. I follow some players more than others but players come and go. At the end of the day, the team remains. In my life, I am a member of a team, and I rely on the team. I defer to it and sacrifice for it, because the team, not the individual, is the ultimate champion. Individual commitment to a group effort is what makes a team work. The only real purpose of a team is for the strengths of the whole to offset the weaknesses of the individual. When a team outgrows individual performance and learns colletive confidence, excellence becomes a reality. These last few games of the regular season will test the strength of the team as a whole. Max Lapierre may have 0 goals in 31 games but if he wins faceoffs, it gives the team a chance to possess the puck. Chris Kunitz may have only one goal in 17 games but if he goes to the front of the net and stays out of the penalty box, he can impact the team's scoring chances. This team may be a collection of diverse personalities and they certainly have a wide skill range but they need to trust each other and unite under a common goal. If everyone contributes and plays to their strengths, the Penguins can rise to the challenge, get past the adversity and move forward into the playoffs.